It’s still really COLD outside in our neck of the woods. 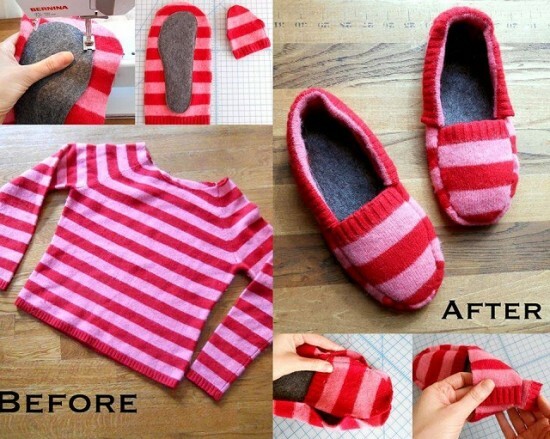 We love this free tutorial for cozy upcycled slippers. You could make your kids matching slippers or make your spouse a pair as a sweet Valentines’s Day gift. The free step-by-step tutorial is available here. All posts are written by Jill Clem unless otherwise indicated.